We’re back with another “Culture Builder” edition of the podcast, where we focus on how to build great teams and become the leader your brand needs to reach that next level. This time our guest is someone who – it might be argued – represents the very embodiment of success. We’re talking about Scott Painter, probably best known as the founder and CEO of both True Car and Cars Direct. He’s made a name for himself by launching and leading disruptive companies that anticipate consumer behavior and capture huge markets. But as is usually the case, its’ rarely ever that simple. 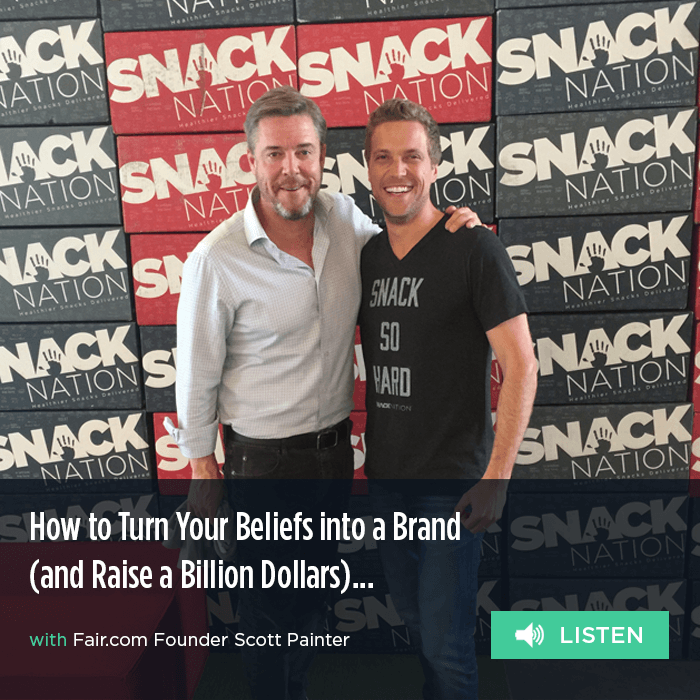 In this fireside chat with SnackNation CEO Sean Kelly, Scott reveals that while he has climbed to the heights of success multiple times… he’s also lost it all just as many times. We mean really lost it all. As in lost his home, lost relationships, you name it. Scott’s newest venture is Fair.com, an innovative app that offers an alternative to traditional car ownership, and that lets you shop, get approved and pay for your next car — all on your phone. This time out, Scott isn’t creating a hard charging team full of “brilliant jerks” (his words). The Fair.com brand is all about, well, fairness, and that requires a culture to match. Scott discusses how to make fairness a cornerstone of your culture – and how doing so helped him raise a billion (with a B!) dollars.